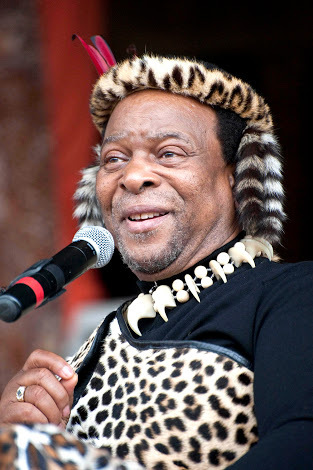 KING Goodwill Zwelithini has intervened to protect the rights of communities affected by the operations of mining companies in the province. During the first rural dialogue on mining, to be held in Empangeni tomorrow and on Wednesday, the king will talk to rural communities living on land belonging to the Ingonyama Trust about their rights not to be evicted and their right to compensation if their houses are damaged during mine blasting. “We want people to understand their rights to live on Ingonyama Trust land, the rights of companies to mine, and the process that people should follow to obtain mining rights” said the king’s adviser, Judge Jerome Ngwenya. He said the king had announced during the opening of the legislature in Pietermaritzburg last year that the Ingonyama Trust would hold an annual dialogue on mineral resources. “After this announcement many people had approached the king saying their rights had been abused by the mining companies,” said Ngwenya. He said the king would meet rural communities affected by mining, traditional leaders and representatives of mining companies. Ngwenya said representatives of the Department of Mineral Resources and legal experts would also attend. He said in many cases people were evicted without the king’s knowing about it. He said in some cases people were unsure of what action to take when their homes were damaged by mining blasts. “Those people should know their rights,” said Ngwenya. KwaZulu-Natal has three major coal mines: the Forbes & Manhattan Coal in Dundee, the Zululand Anthracite Colliery in Ulundi and the Somkhele Mine in Mtubatuba. Ngwenya said Richards Bay Minerals (RBM), which mines titanium, would be part of the meeting. The Mercury reported in June that almost 1 000 people were facing eviction from the southern border of the Hluhluwe-Imfolozi game reserve in the face of the proposed Ibutho coal mine to be built on their Mfuleni land. If the mine went ahead, they could lose three schools, 248 graves, a livestock dam, |25 vegetable fields, and 1 750 hectares of grazing land. Sifiso Dladla, a regional co-ordinator for Mining Affected Communities United in Action, said he hoped the king’s dialogue would include solutions for people affected by mining activities. “These problems started a long time ago. In Mtubatuba there are families who cannot access graves as they are locked inside the mine,” he said. “In Wasbank there are seven mines which only employ 20% (of) local community members. People lost their land and grazing land to RBM. “We have started an international campaign to save the wilderness in Mfuleni. Will the King be able to stop the mining in order to protect the communities of people and to ensure the continuation of the Imfolozi-Hluhluwe Parks and the wilderness area?